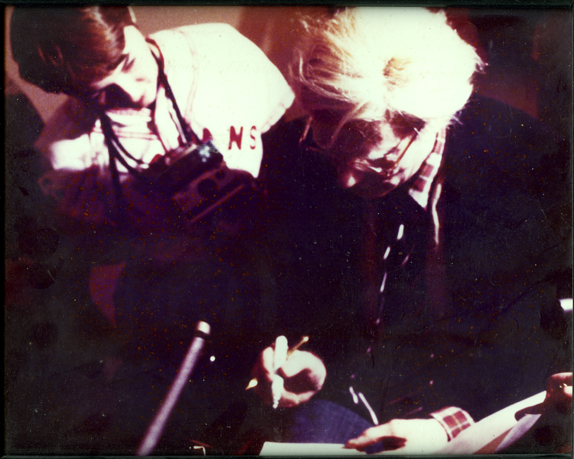 Thirty-five years ago today, I met Andy Warhol! When Andy came to the Virginia Museum for his Athletes Portraits exhibition, my friend Carl Andersen and I were invited to the press conference! We videotaped the session with VCU's gigantic portapack and shot SX-70 polaroids. Here he is signing my press pass!